Craig Fitzhugh speaks with Rosemary Crabtree at the Coffee County Candidate Jamboree Saturday, April 7, 2018 in Manchester, Tenn. Fitzhugh is a member of the Tennessee House of Representatives, representing the 82nd District, and is a democratic candidate running for the Tennessee gubernatorial seat. Correction: An earlier version of this story mistakenly said Fitzhugh graduated from law school in 1995. He graduated in 1975. Family: Wife, Pam; children, Elizabeth Molder and Tom Fitzhugh; grandchildren, Marley Mac, Hugh, Bebe and Ollie. Fun fact: CraigFitzhugh’s favorite food is a good hamburger, but he says he’s never had one quite as tasty as those his mother used to make. Who is running for Tennessee governor? Editor's note: This is the sixth in a series of stories profiling the major candidates for Tennessee's U.S. Senate and governor seats. This week, we continue profiling candidates in the governor race. Visit timesfreepress.com/politics to read previous profiles. In 1994, Craig Fitzhugh was working for a small bank in his hometown of Ripley, Tenn. He was the first person in his family to go to college. Before he landed at the Bank of Ripley, a "bank for the little man," he earned a law degree from the University of Tennessee in 1975, served as a Judge Advocate General officer in the Air Force and practiced law in a two-man firm. Fitzhugh thinks fondly of those early years at the bank, where he was able to offer financial assistance to his neighbors. "I really liked it and I got to talk to a lot of people and help people get homes, help people get out of financial problems, help people educate their children and do things like that," he said. But after two short years, an acquaintance walked through the front door with a suggestion for Fitzhugh's next chapter — taking a turn representing Tennessee's 82nd district in the Tennessee House of Representatives. "The incumbent of 16 years came in on a Friday afternoon and said, 'You know I'm not running; why don't you consider running?'" Fitzhugh said. "He was going to announce the next Monday, so my family and I got together and we just decided it might be good for the community since he wasn't running, so I just jumped in there." Fitzhugh didn't know when he "jumped in" that he'd still be representing his home district 24 years later, much less that he would be doing so as the House minority leader. He's served under four governors — two Democrats, two Republicans — working in both the majority and the minority over his time in Nashville. During that time, he said, he's worked across party lines to enact meaningful legislation for Tennesseans, especially the "little man" he believes would benefit most from expanding Medicaid and investing more in education and infrastructure. For him, those investments are a win-win scenario because, as he likes to say, "We all do better when we all do better." Fitzhugh is running for office again this fall, but he's got his sights set on something different this time around: the governor's seat. He says he's got the chops for the job after years of experience in the Tennessee General Assembly, and from now until Election Day he'll be criss-crossing the state to convince as many voters as possible that he should take the steering wheel next. Fitzhugh certainly never expected to run for governor, but after years of working as an elected official he has benefited from a host of experiences that he says make him an effective legislator, such as learning to listen and help people on an individual basis as he did in the bank. 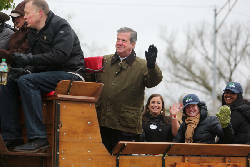 "I never did have that burning desire to just go up the ladder, but then I got to thinking about it — just from where I lived in rural West Tennessee to my ability to get an education through the help of my parents, the schooling I had, the people that I've met, the things I've been able to do by going to college," Fitzhugh said. "I didn't really expect to accumulate all these different things but I just realized when looking into the eyes of my grandchildren, I had something else to offer." There's a lot Fitzhugh would like to see happen in the ruby-red state he calls home, and he's built an unabashedly Democratic policy platform around the issues closest to his heart. He says they're all important, but health care is the "number one issue at the moment" in Tennessee. "A hospital in my district closed down. It was devastating and remains devastating to that community. It was a private hospital that just pulled out. It was terrible, and it remains terrible. We cannot let that happen again," he said. "Medicaid must be expanded, and I'll do everything I can on the first day of the job as governor to expand Medicaid in Tennessee." Fitzhugh has been harping about Medicaid since the expansion was proposed unsuccessfully by Gov. Bill Haslam, and he's found his own way to show how much money he says Tennessee has missed out on — a sign with an illustration of the grim reaper and a running tally of the total dollar amount. "We change it every single day. Now it sits out in front of my office, and it shows that we've lost over $4 billion, literal cash, because we haven't expanded Medicaid," he said. "If you asked any of my colleagues on either side of the aisle and said, 'Give me two words that you've heard Craig Fitzhugh say more than any other thing,' they will say, I guarantee you, 'Medicaid expansion.'" Improvements need to be made in more areas than just health care, he said, adding that he'd like to put more emphasis on Tennessee's education system. He said it's imperative that faculty and staff in Tennessee schools get the financial support they need. "The primary purpose for government in Tennessee is education. It is the most important thing we do. It is the most important thing we spend your money for," he said. "Teaching is something that I think is innate with you, and we need to make sure that we pay our teachers enough so that they will stay in that career." Fitzhugh says he's a "believer in public education" who would make Tennessee students a priority. He said that of his many accomplishments in the Legislature, the one he's most proud of is the 2010 Complete College Act, which he called a sea change in higher education. He said colleges used to be funded in part by how many people were counted in class on a designated day, but the legislation changed that process and measured how many were actually making it to graduation. "We were the first ones in the country to do that, and now many more colleges and universities and states are looking at that way to pay for education," he said. "I think it's much more effective and it's much more accountable for the schools and it's working out pretty good." Among Fitzhugh's other major talking points is the state of the economy, which he says can and should be working more for Tennesseans who have been left behind. He said investments in infrastructure, including rural broadband, can be an engine for economic growth. During a stump speech at a recent Democratic Party event in Grundy County, he touted the state's low unemployment rate but reminded attendees that Tennessee has more people working at the minimum wage rate than any other state. "At minimum wage, even if you work one or two jobs, it's hard to have a piece of that American Dream, and the American dream is just the ability to be able to take care of your family. The ability to take a vacation, the ability to put a new roof on your house, the ability to have health care, and the ability to have an education for your children," he told the crowd of about 100 gathered at Grundy County High School. "Is that so much to ask? I don't think so. I think we can do it. We have the resources, and we have the ability." As a seasoned legislator who has helped form policy in Tennessee for decades, Fitzhugh is well aware of the challenges facing him in this race. His campaign time was limited by the legislative session in Nashville. And his opponents have him seriously outgunned when it comes to campaign funding. In a campaign finance report filed in April, Fitzhugh reported approximately a balance of $643,000 on hand. Both Democrat Karl Dean and Republican Diane Black reported slightly more than $2 million in the same time period. He recognizes those issues, but says he's running where he wants to be right now. "I would not want to be leading my opponent right now. That's not the way that we do it. We know when to peak, and we know when to go, and we know what to do," he said. "I'm completely satisfied with where we are. If I win the lottery, that'd be OK too, but I think we're going to be fine." Fitzhugh has at least garnered support from some of his peers — State Rep. JoAnne Favors, D-Chattanooga, said she's voting for him because of "his experience, knowledge and ability to collaborate." "I am supporting him because I've known him for the 14 years I've been there in Nashville," she said. "He exemplifies what a legislator is about, and he also probably knows more or as much as any other one person about the financial status of Tennessee." Dr. Bruce Oppenheimer, a professor of public policy and education at Vanderbilt, didn't have much criticism of Fitzhugh's campaign, but did highlight what he sees as the campaign's biggest hurdles: name recognition and money. "Despite his position in the legislature, he's not very visible. There's a reason he doesn't have a war chest, which is why some people don't think he can win," he said. "It's hard being in the minority in the legislature to get any visibility." Oppenheimer said Fitzhugh is a better statewide candidate than Democrats have seen in a variety of races over the years and his legislative background is a boon to the campaign, but he may not have the base support needed to emerge on top. Complicating matters is that the dual issues of name recognition and campaign funding is a kind of Catch-22 — in most cases you need one to get the other. "The question, is how do you get known? And getting known means money because money can get you name recognition. Or you have to find some way to get free media coverage," he said. "Good guy or not a good guy, you've got to work at that to sort of be more visible and get the free media coverage if you don't have the money or throw whatever money you have right now at name identification to raise more later." 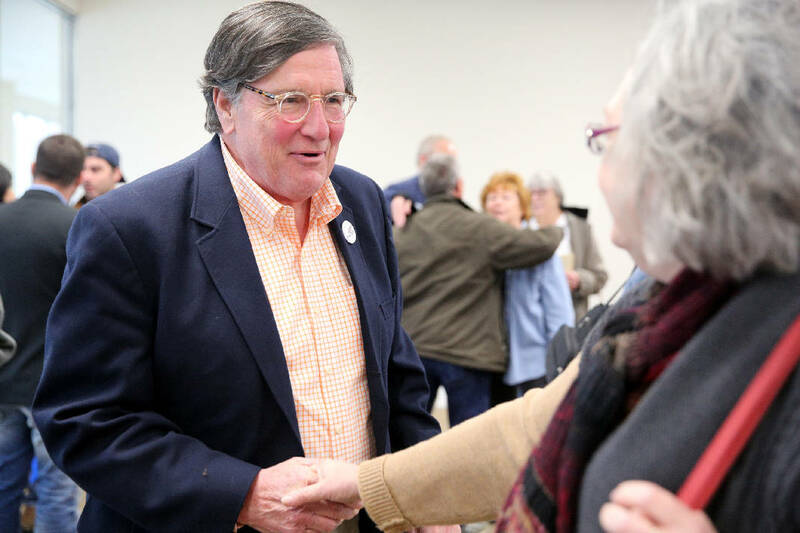 None of that critique seems to bother Fitzhugh unduly as he charts his course across Tennessee from one campaign event to the next over the summer. He's confident voters will identify with his message as they hear it in the coming months. The only question remaining is how ragged he'll run himself and his campaign volunteers in the process. "We're going to raise as much money as we can and run a campaign that relies on grassroots, relies on social media, relies on getting our word out and relies on traveling back and forth across this 400-mile-wide state as much as we can," he said. "We get on Interstate 40 and we turn left, we turn right, we turn around, we go the other way, we turn left and then we turn right, you know?" This story was updated July 5, 2018, at 10:25 a.m. with more information.